Watch out for spooky trees and ghosts on your Night Walk! Shine the included UV flashlight on the crystals to watch the trees glow in the night. 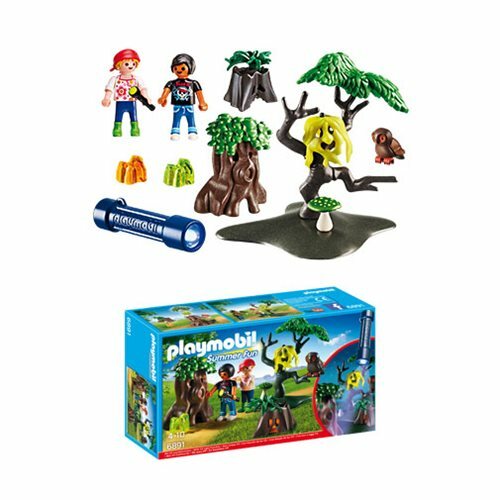 Set includes two figures, tree stump, tree, and other accessories. Flashlight requires 1 x "AAA" battery. Recommended for ages 4 and up.